Additional Info: Bed guard and travel cot are not left in caravan as standard, but available on request. 1 twin room has a tv (working) the other twin isn't connected up yet hence not advertised 'with TVs in bedrooms' . £50 deposit is required to secure dates which is non-refundable and will go towards any loss, re-advertising fees upon any cancellation but comes off balance, the balance is payable 6 weeks prior to arrival. We also require a £100 refundable deposit for any damages. The caravan is available for 7night breaks although 3 night breaks fri-mon or 4 night breaks mon-fri may be available on request. All available dates are on page to view along with prices. Fantastic refurbished HAVEN park ready for 2016. Brand New 2018 Willierby Seasons contains 3 bedrooms ideally situated in Kiln Park in Tenby. 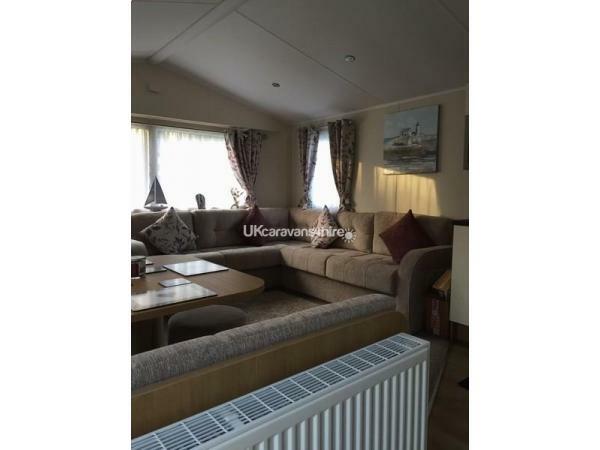 The caravan boasts double glazing throughout along with Central heating. The living area consists of an electric wall mounted fire, large flat screen TV and separate DVD player & Xbox (no games/remotes supplied) dining area. The kitchen has a gas cooker fridge/freezer a microwave, toaster, kettle along with all the utensils pots and pans you would require. 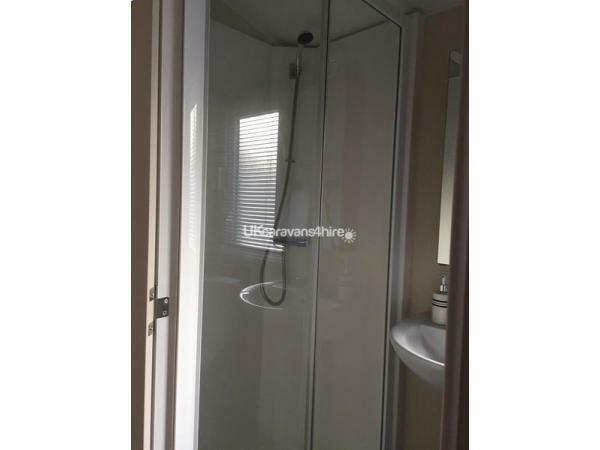 There is a shower with toilet and sink plus the added bonus of a separate w/c and basin. On site includes a 'millies' for your sweet tooth! New for 2016 a refurbished entertainment complex with sports lounge. Strolling distance to the town centre, we have a beach via the caravan site, yes we have our own pathway. Refurbished leisure centre across the road. Short drive to a range of days out from Folly Farm to the Dinosaur Park, Oakwood Theme Park or even Heatherton to name just a few it really is the ideal family getaway in a home from home. Bedding, travelcot, bed guard all can be supplied as an extra, prices available on request. Additional Info: There is also an outdoor pool (seasonal). We will NOT supply passes but are available for purchase at reception.Passes can be arranged when paid for in advance and will be available in caravan upon arrival. Cannot fault Julie or her caravan at all. 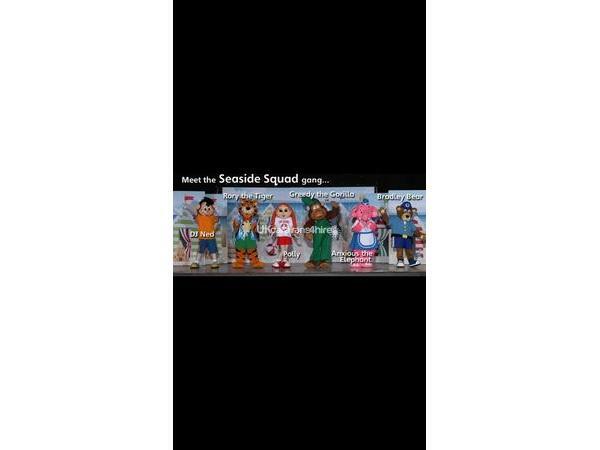 Easy transaction and very helpful. Caravan was immaculate. 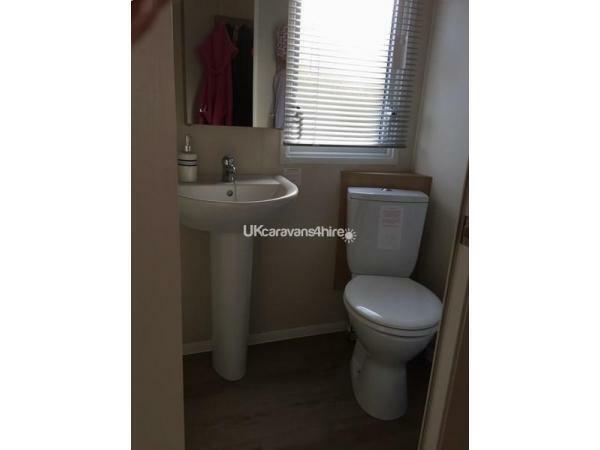 Beautiful caravan spotless and in a good quiet location ???? Had a lovely weekend.beautiful caravan lovely and clean,very spacious! Nice quiet spot would definitely come again! Thanks for having us at short notice! Had an excellent stay here for Ironman weekend- easy access to town and lots to do for the children. Highly recommended and will hopefully return next year. Amazing caravan lovely and clean also in a nice spot, it was a last minute decision to have a few nights away at Kiln Park and Julie was more than happy to help us at short notice. Its a very spacious caravan as we were a party of 8 and didn't feel crammed in at all I would definitely recommend to stay in the caravan. Hopefully we'll be returning sometime next year. This is our second year running staying in Julie's caravan and would definately stay again. No hassle, easy booking and clear communication. The accommodation is excellent with plenty of room in the living area for our 3 young children to play. Location is excellent, away from the noise and fairly secluded but within easy reach of the entertainment areas. The whole family had a fantastic stay yet again. Thanks Julie!! Thankyou very much Lisa & family, glad you all had a lovely holiday with us again, we look forward to welcoming you back in the near future, julie. We enjoyed a lovely stay at the caravan last weekend which was situated towards the start of the park with only a short walk to the clubhouse and the park's other facilities such as its shop and reception. 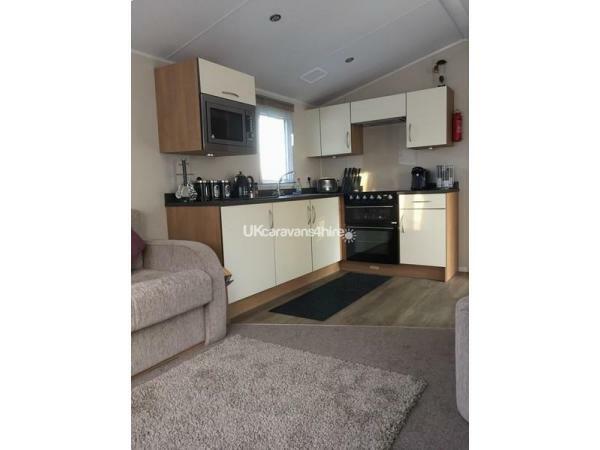 Caravan was very clean, nicely decorated and very spacious-perfect for our needs with a young baby and all the items that come with taking a baby away on holiday. Owner was very accommodating with superb communication throughout. Would stay again for sure. Excellent communication and attention to personal detail from owner! Caravan was exceptionally clean had everything you could need. We would definitely holiday there again soon. 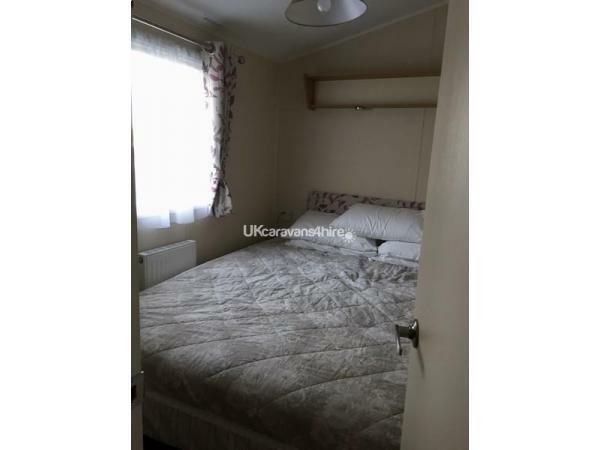 Lovely lady very helpful and kind ,caravan very clean no complaints at all and i am fussy .situated a little way from club etc but not too far just down road ,private area.parking no problem. Julie the owner will be the first person I will contact when we go to kiln park again. Had brilliant time can not fault anything.10-10 thank you. We were 8 adults and were very comfortable in the caravan. It was spotless. Would recommend it and would certainly return at a later date. 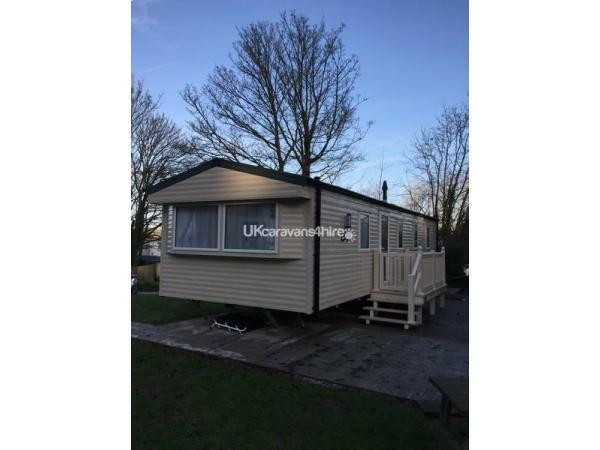 The caravan was in good location only a short walk from activities. Caravan was clean and tidy, parking was a little interesting but was manageable. Kiln Park was a great holiday park and only a short distance from attractions. Julie was great in answering all my questions and a pleasure to deal with. The caravan was in a lovely quiet area of the park and only a small distance from the club house. Lovely and clean and Julie was pleasant to deal with with fantastic communication. We had a fabulous time, the weather couldn't have been better. The caravan was beautiful and clean. Julie was there to meet us, and she made us all feel welcome. Everyone on site was very friendly. Will definitely be returning. 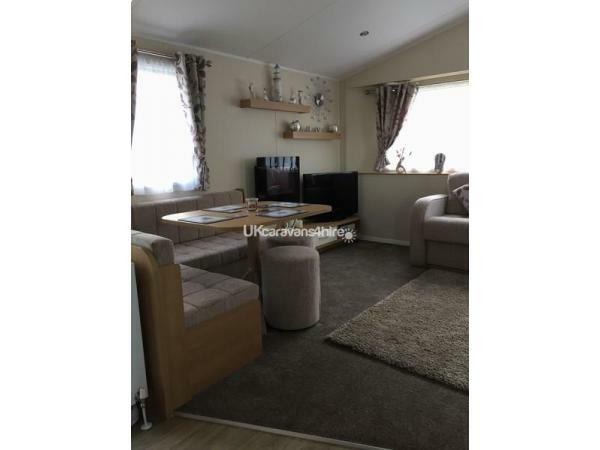 An immaculately kept caravan situated in a quiet location within the park, yet only a short walk from all of the parks facilities. A warm welcome was received from the owner, who also ensured everything was perfect for our arrival. The caravan and facilities on the site are wonderful, with the main town a short walk away. Well recommended.